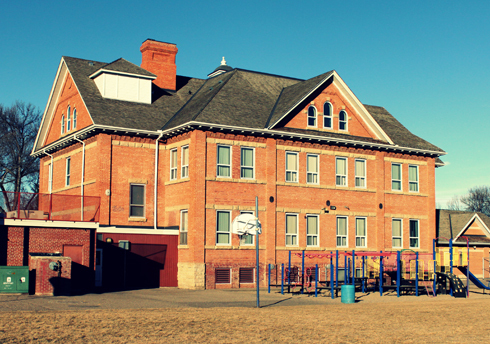 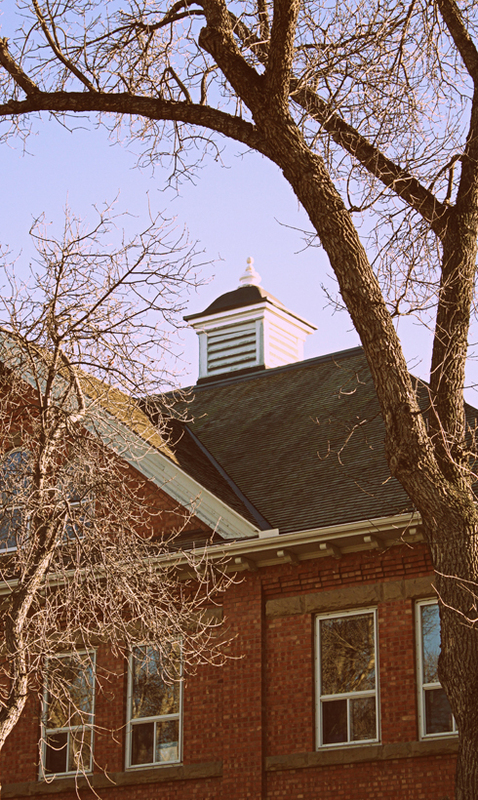 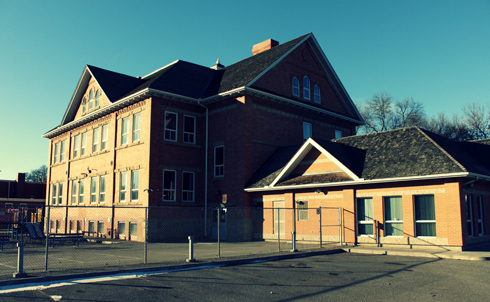 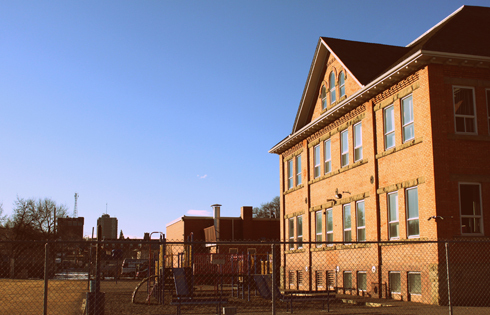 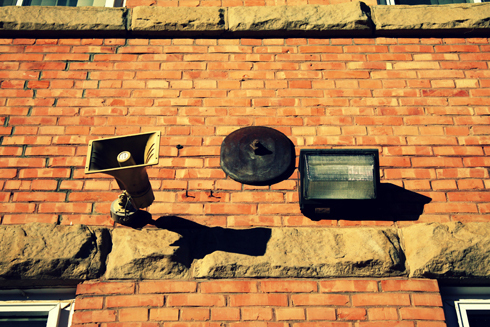 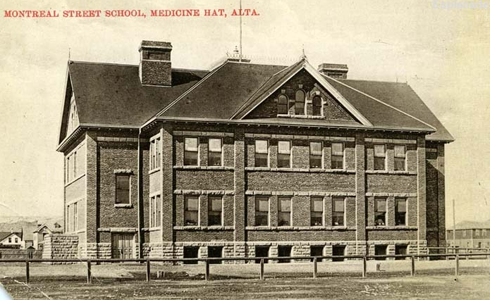 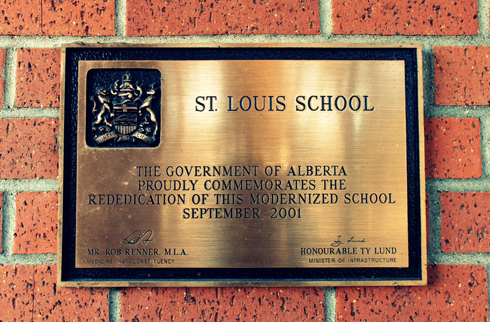 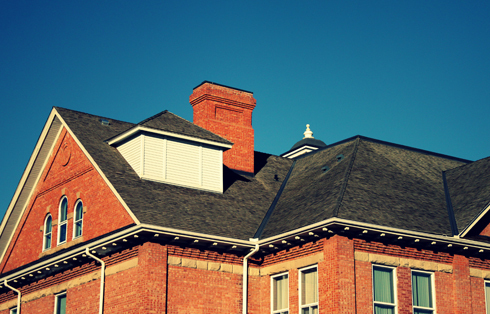 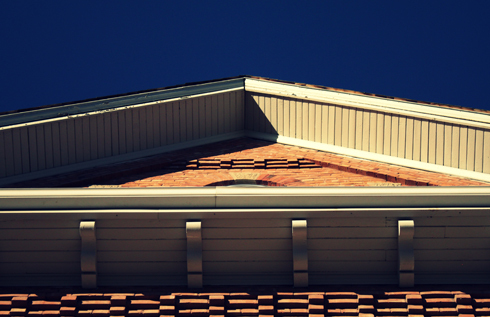 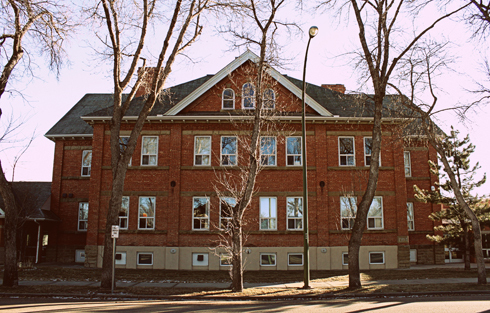 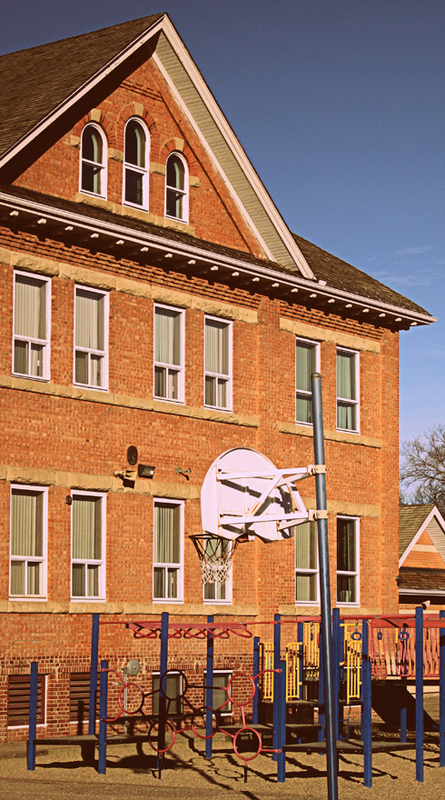 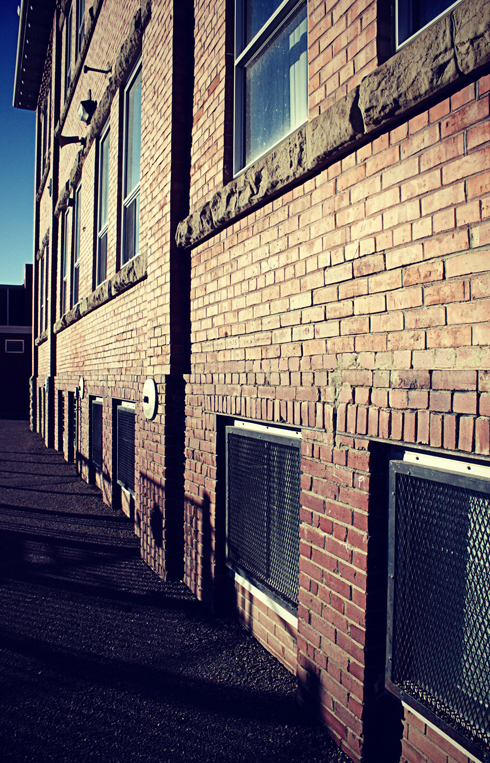 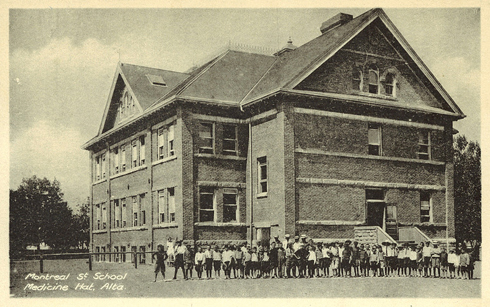 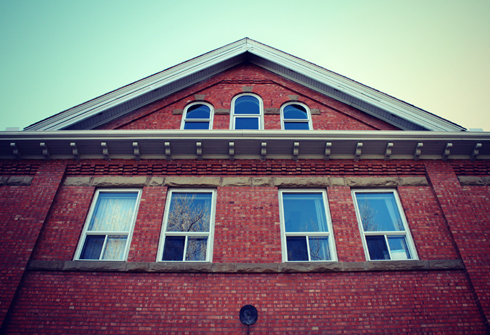 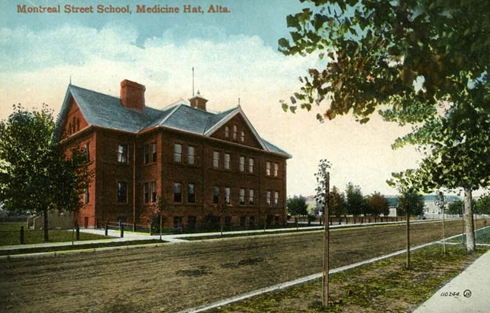 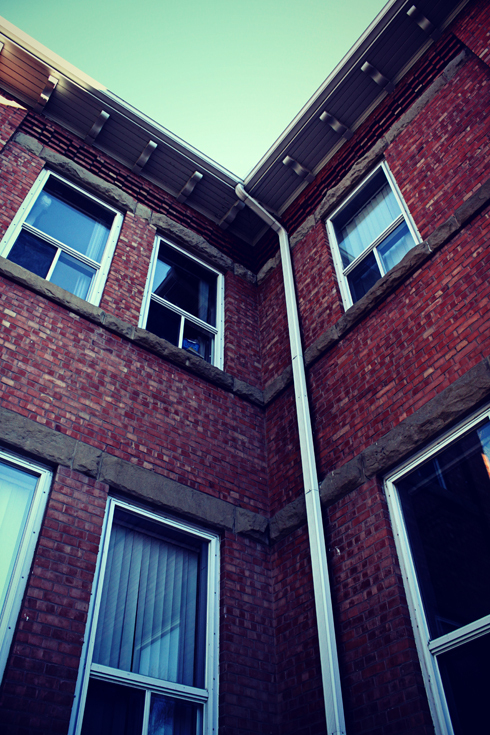 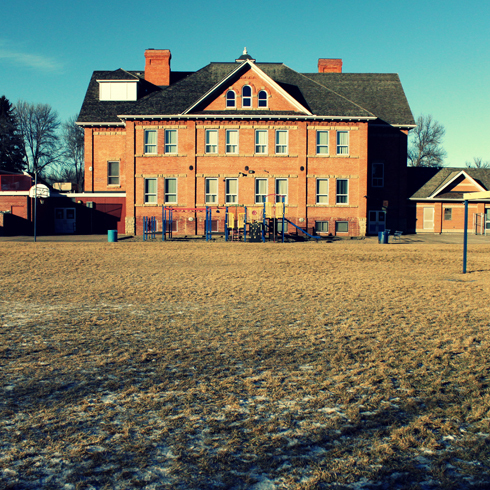 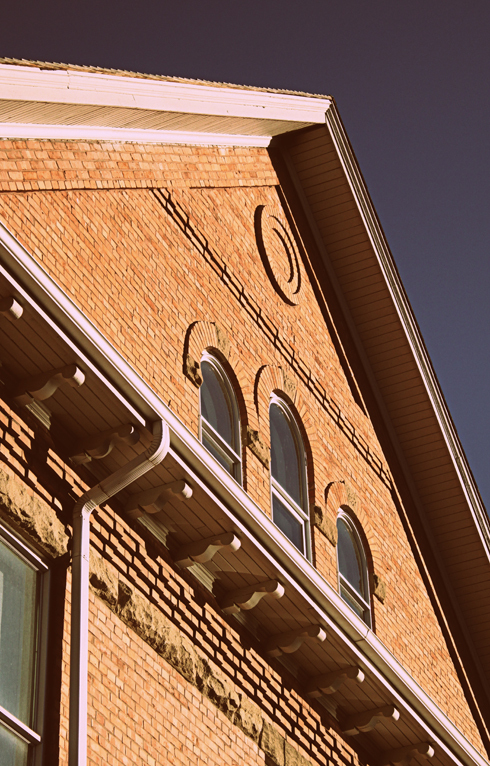 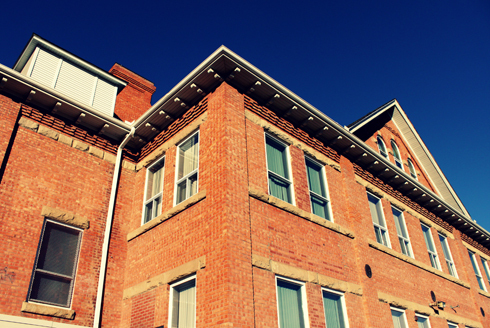 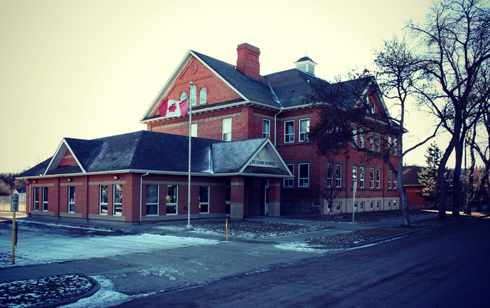 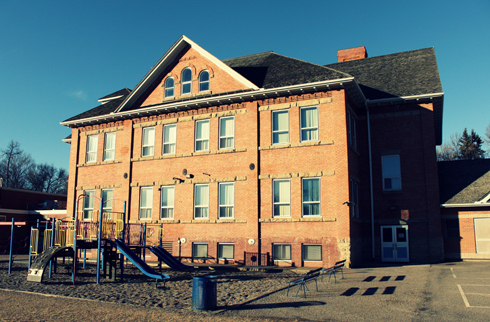 Constructed in 1904, Montreal Street School was one of Medicine Hat's very first permanent schools. 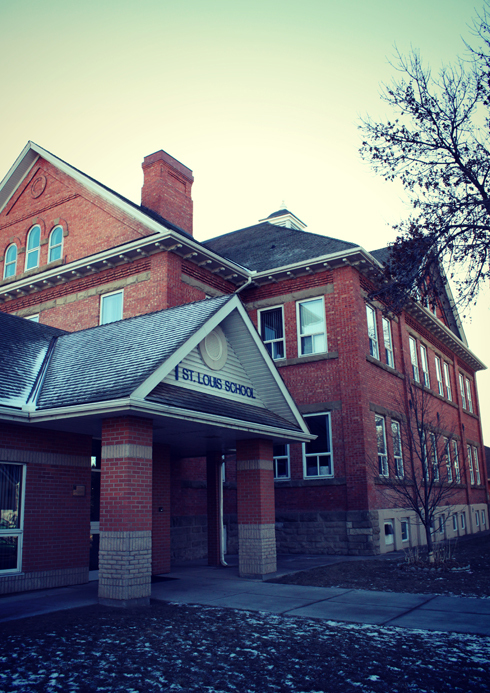 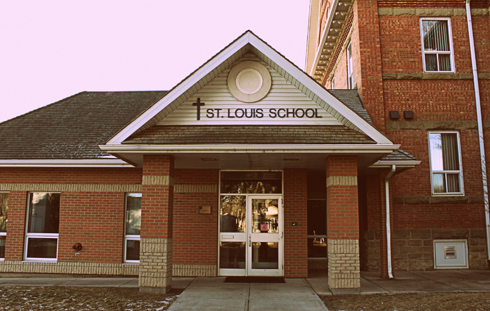 Now nearing 110 years old, the building is still in use today, and was rededicated in 2001 as St. Louis School (a Catholic elementary school). 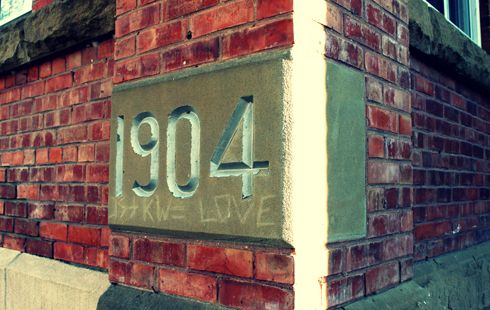 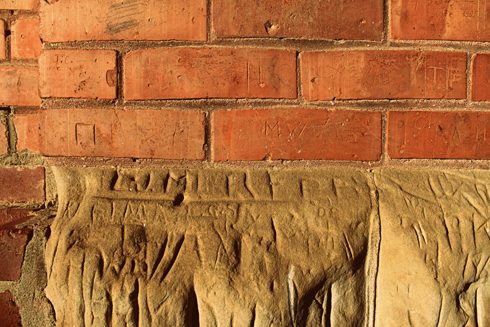 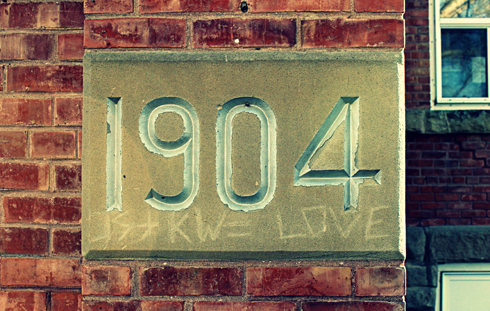 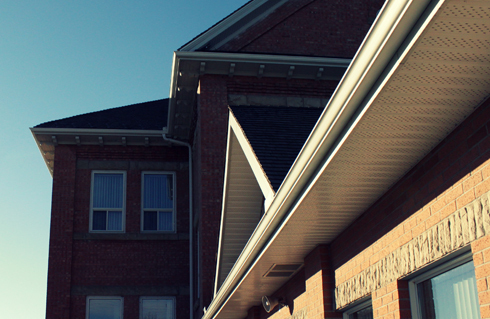 Naturally, the building has been renovated and expanded over the years, but much like St. John's Church, some of the original sandstone foundation and brickwork has decades old graffiti carved into it from the kids who went here. 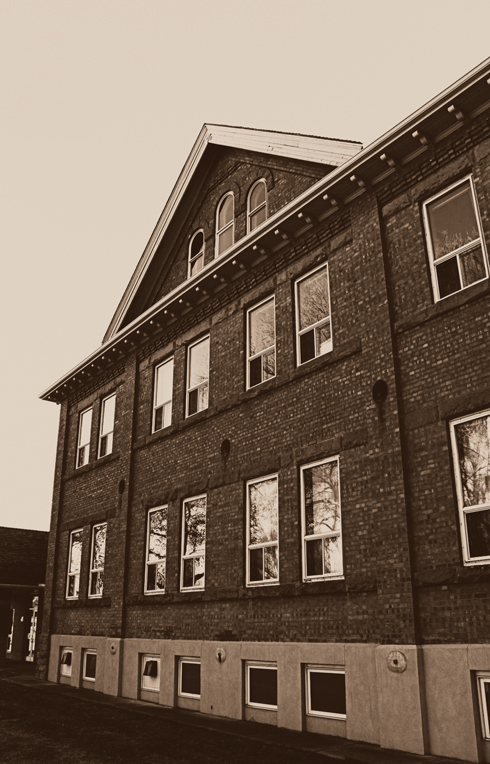 It serves to emphasize just how many people have passed through this building in its lifetime, which makes me further appreciate what a beautiful old building this really is.